Excellent adhesion, for interior and exterior use. 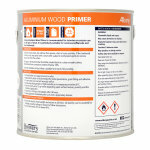 Specially for hardwoods and resinous softwoods. Albany Aluminium Wood Primer is a high VOC content self knotting finish. Recommended for interior or exterior use on all types of wood but is particularly suitable for hardwoods and softwoods of a resinous nature. 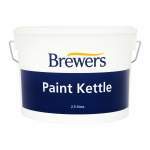 This product can be applied on either new or previously painted surfaces, for further information please consult the data sheet. 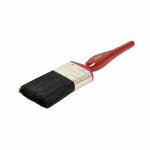 Applied by brush and suitable for interior and exterior use. It is touch dry in 4 hours and recoatable after 16-24 hours. 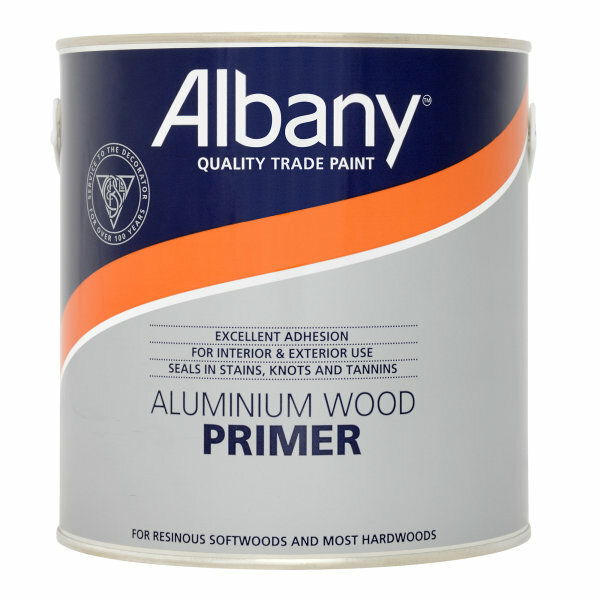 Albany Aluminium Wood Primer is recommended for interior or exterior use on all types of wood but is particularly suitable for hardwoods and softwoods of a resinous nature. 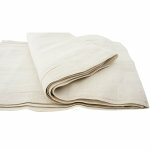 Surfaces must be clean, dry and free from grease, dust or loose particles. If the hardwood is tacky or oily, wipe down with a clean cloth soaked in Methylated Spirits to remove excess resin from the surface. Avoid the inhalation of dust. Wear a suitable face mask if dry sanding. Stir well before use. Apply by brush or roller. 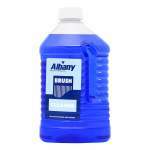 Brushing is recommended to provide better penetration, grain filling and adhesion to the substrate. One litre covers up to 13 sq metres, depending on the porosity of the wood. Surface dry in 4-6 hours. Recoatable after 16 hours in normal drying conditions. Clean equipment immediately after use with a proprietary cleaner. 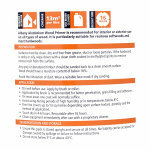 Do not use if temperatures are likely to fall below 8°C during the application and drying periods.